An intriguing island nation preserving while thriving in its alluring glory of architectural heritage, classic cars, sensual salsa and casino dances, Cuba captures the imagination like no other place in the world. Cuba is made up of the largest island of the Antilles and is located in the Caribbean Sea, near the coast of the United States and Mexico. Havana, Cuban capital city, is located on the western side of Cuba and is the most populated province with over 2,000,000 inhabitants. The blend between African and Spanish footprints makes Havana one of the most unique cities in Latin America. Rich in culture, history and tradition, Havana is Cuba’s foundation covering all the manifestations of arts, literature, sports and science. To further accentuate its nostalgic nod to the fifties and arts, Havana proudly boosts accomplished artists, musicians and dancers. You will experience live bands and galleries just wandering the streets of Old Town. Once a forbidden destination under U.S. sanctions for decades, leading American travel organizations lead the charge of increasing normalization of leisure travel to and from the island. Go as quickly as you can and experience the real Cuba as masses flock to this newly opened time capsule! You’ll quickly dive straight into the hustle and bustle of the island upon your arrival. With Cuba’s panoramic views and creative culture, it’s no wonder visitors gawk at the island antiquated aesthetic when one enters the dynamic city. 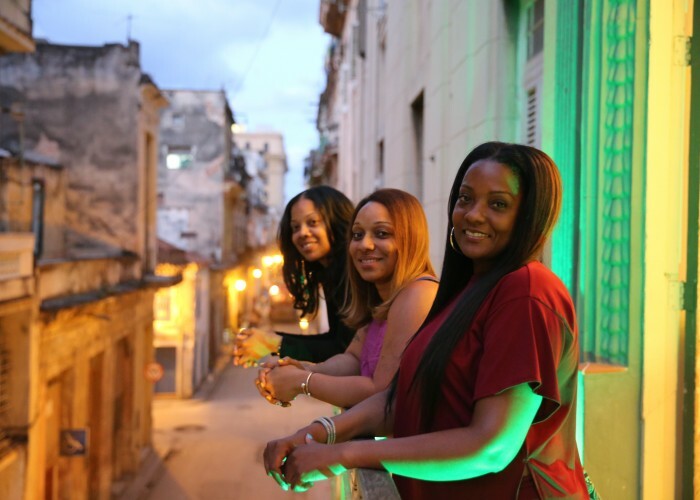 With 8 nights in Black Girls Travel Too approved B&B residences, all nestled throughout the island parting unique experiences in their own rights, you will become as confident as the locals navigating throughout the streets of Cuba. Walking tours through Havana, history lesson in Cienfuegos, sustainable farming unveiled in Vinales with Cuban style cooking lessons, private salsa classes in Trinidad packed into an ultimate Cuban cultural immersion. THE HIGH TOUCH TREATMENT . . . We have mastered the art of customer care, with 24/7 online team member access before, during and after your travels with BGTT. From currency conversion to what to expect, we got you covered and will ensure you have an epic experience from start to finish. Inclusive Round Trip airport transfers from and to Havana Jose Marti International Airport are included when you travel with BGTT. Hello stress free traveling! You followed our experiences that have spanned all corners of the world on our Instagram and other social media platforms, you pinned your life away on Pinterest planning the trip you work hard for and deserve, the desire to immerse yourself into a modern and classic culture has you up in arms with excitement, but there’s a hesitation. With Black Girls Travel Too, your hesitations are our motivations. As a premier black owned and operated traveling service, we’ve dealt with our share of skepticism and prejudices early on, now we accredit our passion of going above and beyond a traveler’s expectations to ensuring you the invaluable experience you deserve to be a part of. That hesitation you may be experiencing is familiar to us as well. A stigma placed on women of color is that we are uncultured even undeserving of a life filled with jet-setting and pages of passport stamps. Nothing could be further from the truth, so we decided to change the rules. By cultivating, only the best partnerships across the globe, investing in premier quality customer care teams, immersing in education and vetting the world’s most prized possession, a black woman to take trips of a lifetime with, your life is forever changed for the better. Bienvenido a Cuba! Welcome to the beautiful island nation, today as you arrive you will be greeted by your Black Girls Travel Too Ambassador and chauffeured to our exclusive B&B accommodations in the beautiful landscape of Havana. After you settle in your relaxing retreat, take a load off and visually digest all the beautiful sights steps away from our home away from home. You can pinch yourself, it’s real, and only the beginning! We will gather together for a Cuban feast at a local paladar, (privately owned restaurant) for dinner and an official meet & greet with your fellow BGTT travelers! 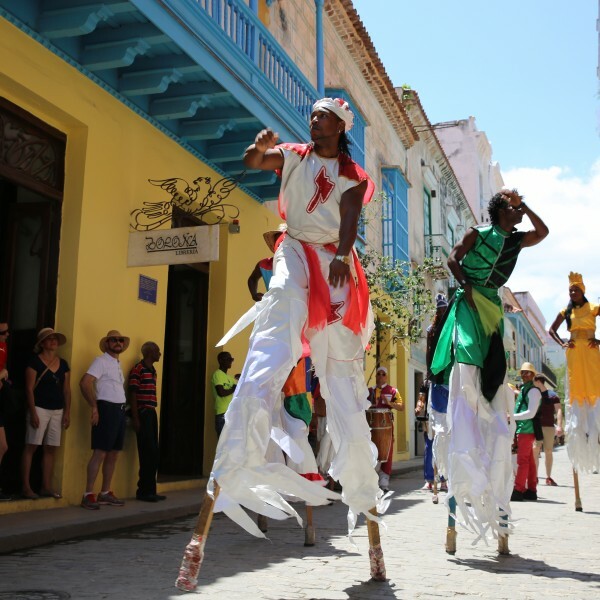 Kicking off your Cuban experience in the picturesque, and Charming “Old City”. Our morning begins with a guided walking tour of Old Havana. Enjoy the landscape, as we stroll through some of Old Havana’s most notable historical sites, and hear insightful commentary from our personal local guide about the impact of the dual-currency economy of Cuban: pesos (CUP) and the convertible peso (CUC). We journey further into commercial centers where goods are purchased in CUC and ration or peso stores, where goods are purchased in CUP. Rounding out our tour, we embark on a final journey to the fishing village of Jaimanitas, home of the famous artist Jose Fuster. Fuster opened up his home to tourist after turning it into an artwork using mosaic tiles and Fuster works with many of the local schools on neighborhood beautification projects. You will quickly realize the culture is worlds apart from what you are accustomed to in the states, and that is the beauty of indulging in this BGTT experience! Cuba’s scenic lush backyard, Vinales is situated in one of the most picturesque parts of Cuba, among the limestone pincushion hills (“mogotes”) of the Pinar del Rio province. As we journey to Vinales, we will experience the pioneering ecovillage of Las Terrazas. While here, we will connect with the local community expert for a lively exchange and to gain insight into how the local society operates. On to our next adventure, we reach Vinales in time to tour an organic farm and learn about sustainable farming in Cuba. A local farmer and his family will personally guide us around the organic farm and explain to us the methods used to cultivate crops without the use of pesticides. Many of the delicacies we enjoy on our experience ingredients come from private organic farms similar to the one we explore. Back at the farmhouse, we will have the opportunity to learn “hands on” about farming in Cuba. With the serene sunset as our backdrop, we will enjoy a farm-to-table fresh and diverse feast prepared by the family! Cuba is the meccas of cigar production so it’s only right today we spend the morning learning the tradition of Cuban cigars from a farmer and expert cigar maker. Gaining in depth insight into the inner workings of the communist system, how much tobacco they will keep, how much is produced, amount they give back to the government, and how they make ends meet! Get ready to be blown away, not by the cigars but the transparency of our local Cuban experts. You will learn about the entire cigar-making process from tobacco planting to rolling the final cigar. Complete Cuban culture immersion! As the afternoon sets in we learn to cook Cuban-style with a demonstrative cooking lesson from a local culinary expert. Now for the truly exciting part as we accompany the chef to the local markets to buy the ingredients for our platos tipicos Cubanos like congri, potaje, garbanzo soup, ajiaco, and flan. (excellent opportunity to test or learn Spanish!) Fun to cook, but even better to eat! Enjoy! Today we escape to Cienfuegos the “Pearl of the South”, a city founded by the French and known for its colonial-era buildings. 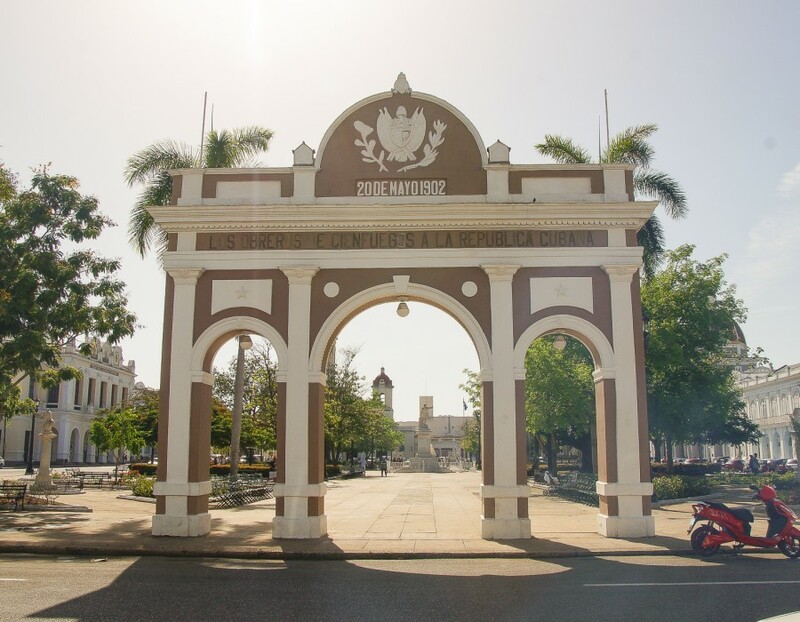 Cienfuegos has a distinctive European flavor with a wide Parisian-style boulevard and elegant colonnades. We will travel, taking in the breathtaking views, along the Bay of Pigs, where there is a museum that recounts the events of the conflict which resulted in the first defeat of a CIA led, U.S-backed takeover in Latin America. Time permitting, we will stop for a swim along the way in the vivid turquoise waters or take a dip in a sinkhole which resembles a huge natural tropical fish tank. Make sure to pack your swimsuit! Noooo…not that Trinidad. This beautiful colonial city is home to numerous churches and many beautiful colonial buildings. This maybe the day you solidify your love for Cuba! We begin the day with a cultural tour where we wander through various museums (including the Afro Cuban temple to Yemaya) and learn about the Afro-Cuban religion. We will be cordially invited to sit and learn about the religion and its deities from the official caretaker -a priest called Israel. As the afternoon wears away we will meet members of the Cuban arts scene, an Afro Cuban Folkloric dance group. This group performs Afro Cuban shows at the club Palenque. This will be our chance to learn about the cultural and social importance that dancing has gifted to Cuba, as Cubans are accomplished artists, musicians and dancers. We will be welcomed into the venue where the dance group trains and performs just before taking on a Cuban salsa class. Nightlife in Trinidad is probably the most accessible and intense in all of Cuba. There are numerous live music venues and many dance performances every day of the week, all amongst the enchanting setting of old colonial buildings and cobblestone streets, rivaling all your past live music experiences! Today we will learn about the history of the area, the local industry and biodiversity as we take a short hike to a beautiful waterfall outside of the city. Taking the day slowly, on the way we will stop in a very simple campesino’s (farmers) home to learn about life in the rural areas of Cuba. After cooling off in the natural pools, we will return to Trinidad where you will have the rest of the afternoon to relax and explore. For dinner tonight we will gather to share in a special picnic at Playa Ancon with music and a delicious array of Cuban specialties prepared by our favorite local chefs. On the way back to Havana we first pass by Manaca-Iznaga plantation in the Valle de los Ingenios, once a centre for sugar production from the late 18th century until the late 19th century. We will learn more about Cuba’s slave trade. Pressing on through the lively streets, we will stop in the town of Santa Clara; a key city in the Cuban Revolution. Upon entering Santa Clara, we will see the iconic statue of Ernesto Ché Guevara, built to commemorate his death and that of the revolutionaries who died along with him in Bolivia. We will enjoy lunch at a small family farm near Santa Clara and head back to Havana where we will have some free time to freshen up before our farewell dinner, and of course, one final fun-filled night of music and dancing! Our final hours in Cuba, you will be chauffeured to the airport to head home as an insightful and cultured Cuban traveler! Say adios to your guide chauffeur and fellow travelers as you journey home with your new memories and friends (and maybe a cigar or two!). We enjoyed taking care of everything for you, allowing you to truly relax and enjoy your experience! We hope to see you on the next BGTT experience! Travel safely. After the changes to the Cuba sanctions program announced by the President on June 16, 2017, will group people-to-people travel still be authorized? Is a Visa and Passport required? Yes. In order to travel to Cuba you must have a valid passport. If you have any questions regarding a passport click here. A Visa is also required. Contact your local Embassy or consulate for the most up to date visa requirements. Some airlines that fly to Cuba either include the Visa in the purchase of your airfare or they can sell it to you at check in (ie; American Airlines). So check with your airlines. It is your responsibility to have the correct travel documentation. For general information on visas for different nationalities and countries, the following website may be of use. www.projectvisa.com and www.cubavisa.com. You should purchase your airfare as soon as you receive your Cuba confirmation email. The arrival and departure airport is Havana Jose Marti International Airport (HAV). How will I commute from Havana Jose Marti International airport to my accommodations? We provide complimentary roundtrip airport transfers in Cuba. You’ll stay 3 nights in Havana in a VIP B&B, 2 nights in Vinales in a VIP B&B, 1 night in Cienfuegos in a VIP B&B, and 2 nights in a VIP B&B Trinidad. Of course! Our private room charge is an additional one time fee of $510.00. To request a private room, email support@blackgirlstraveltoo.com. No worries at all! When it comes to travel age is nothing but a number. Our trip Experiencers range between the ages of 20-50. There has not been one time that a traveler felt awkward because of their age traveling with Black Girls Travel Too. Totally the opposite. We understand the importance of intimate groups. Our trips are designed for a more high touch and exclusive experience. You get access that you probably wouldn’t get with a larger group. This unique experience allows you to create a community amongst your fellow travelers. Giving you insider access that larger groups aren’t afforded. Due to the intimate size of this group trip, preparation, and vendor contract, there will be No Refunds issued for Black Girls Travel Too Cuba 2018 Tour. By purchasing this package, you acknowledge and agree to our No Refund policy. However, by purchasing trip cancellation coverage you forgo the unnecessary worries around what happens if an emergency occurs and you can’t make your trip. www.travelguard.com is one of many providers that offer a variety of coverage, including The Cancel For Any Reason (CFAR) option provided that you cancel your trip more than 48 hours prior to your departure, you’re eligible for a full refund. (other insurance companies that offer travel insurance in Cuba. www.globaltravel.com, www.insuremytrip.com, www.quotetravelinsurance.com, and www.worldnomads.com). What insurance coverage is necessary? Do I need to know any Spanish to attend this trip? Not at all! We will have a bilingual tour guide with us at all times. However, to know a few words would not be a bad thing. In fact, it may increase your experience in Cuba and make it more rewarding if you are able to speak some of the native language with the locals. How do I learn about the unique culture and customs of Cuba? Guidebooks for Cuba such as Lonely Planet and Moon handbook, can provide some very good summaries about the country’s history and culture which will enhance your experience of your trip.